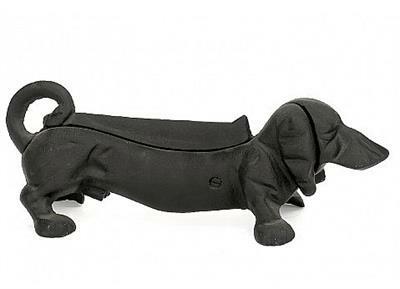 Our boot scraper comes in an innovative functional design of a Dachshund statue. Leave the mess outdoors by scraping the dirt off your boots and shoes. The Dachshund Boot Scraper will make an ideal accent for the home at the doorstep while serving a practical function. The Dachshund Boot Scraper is created from durable cast iron and comes with a rust flaked finish as shown. Skillfully hand finished.